I'll be honest, Wall Street and any kind of investments/stock trade goes totally over my head. 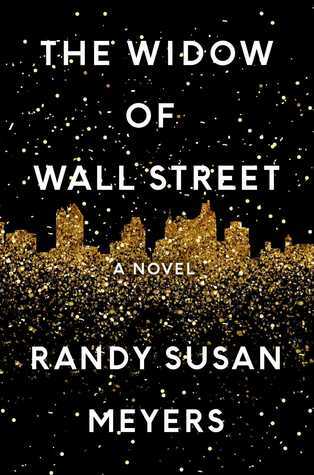 When I first picked up The Widow of Wall Street, I was a little scared that I wouldn't understand it. 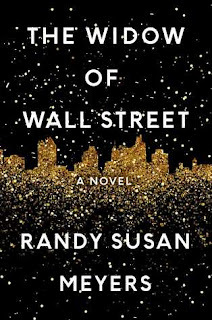 I soon found that wasn't the case at all as this novel is more about relationships and family than it is about Wall Street. After doing a little background research, it seems as though the novel is based on the true story of Bernie Madoff and his life. I found that quite interesting because I read it as a fictional story. Throughout the novel, the reader follows the Pierce's from their teen years to their later adult years. We learn so much about each of the character's personalities and I found myself constantly nervous around Jake. He seemed like he was always on edge and would crack at any moment. Phoebe, on the other hand was strong willed and kind hearted, but she allowed herself to be pushed and pulled in whatever direction Jake pleased. I always enjoy when novels share what it is like in the lives of the rich and famous. It is a lifestyle that a very small percentage of people get to enjoy. Jake and Phoebe lived and extravagant life that most of us couldn't even imagine. At one point, Phoebe mentioned that she felt she couldn't spend money fast enough. Even though Phoebe had more money than she knew what to do with, she seemed to remain grounded. She helped those in need and wanted to give back to her community. This made me care for Phoebe and her character, and it made Jake's money hungry attitude appear even more arrogant and selfish. I quickly found myself sucked in to the powerful world Meyers created and I loved the constant fear of not knowing when everything was going to blow up, as we all knew it would. I wasn't expecting to feel heartbreak in this novel, but I longed for Phoebe to rise from the ashes and leave Jake behind. All in all, I thoroughly enjoyed stepping out of my comfort zone and would definitely recommend The Widow of Wall Street.